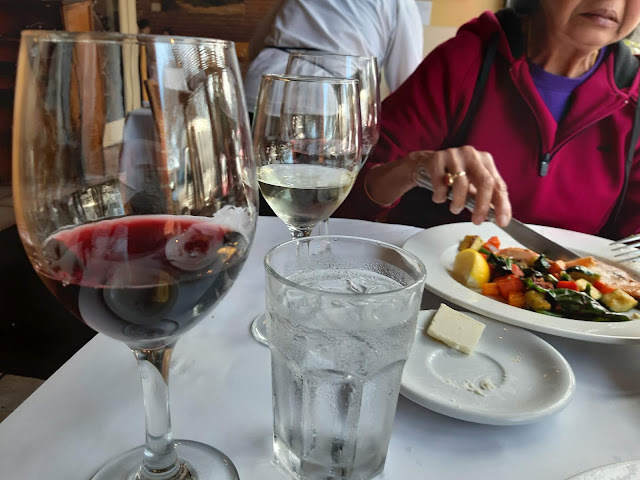 My son booked us on Viator's Tour of Muir Woods and The Wine Country recently and we thoroughly enjoyed the tour. This took us first to the beautiful Muir Woods National Monument located in Mount Tamalpais in the Marin County in California and later to three wineries in the Sonoma and Napa Valleys in California. There were just eight of us on the tour and we came from different places. 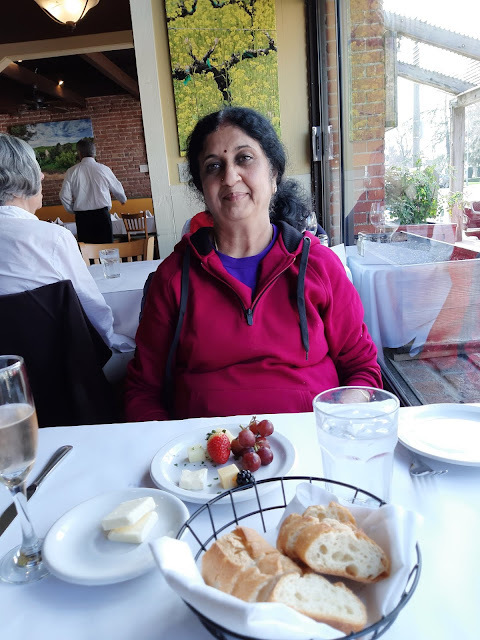 There was a gentleman from the Philippines, a couple from St Louis, Missouri, a couple from Houston, Texas, and a lady from Orange County, California, apart from my husband and me from India. 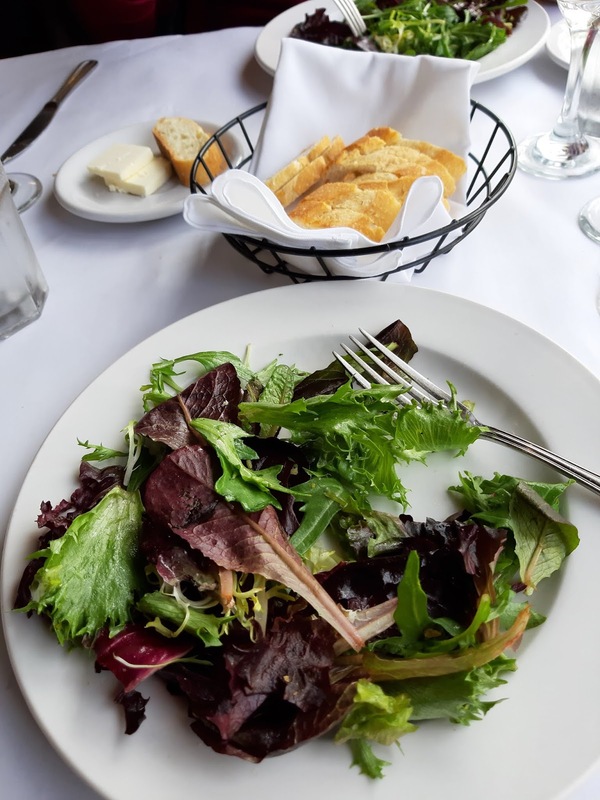 Today I write about the excellent lunch we had at The Plaza Bistro located in the Sonoma Plaza in Sonoma, Ca. The "Gourmet Lunch" was an optional part of the tour and it meant paying more for this upgrade but I am so glad we got to enjoy a memorable meal. The lunch started with a complimentary sparkling wine which was served with the appetizer of Cheese Board with Fresh Fruit. On that day, we were served strawberries, pineapple and grapes along with two types of cheese. With each course, we got to taste a different type of wine. The first course was the Baby Mixed Greens tossed with Fresh Herbs Vinaigrette, Red Grape Tomatoes and Croutons. This was so tasty and refreshing. 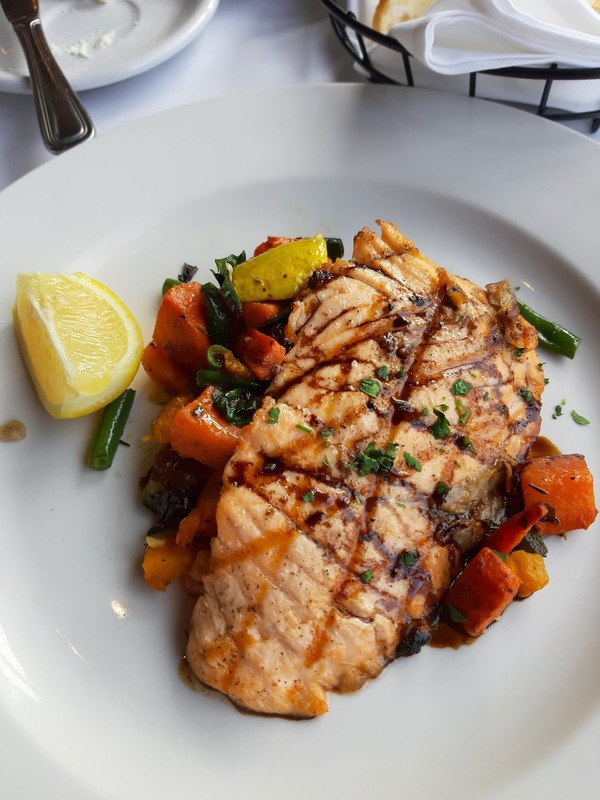 From the various options for the main course, we had opted for the Grilled Salmon over Sauteed Vegetables drizzled with Balsamic Reduction. This was simply superb. We visited three wineries in all, the first in the Sonoma - where we had this lunch- and two more later in the Napa Valley. There we got to taste different types of wine. 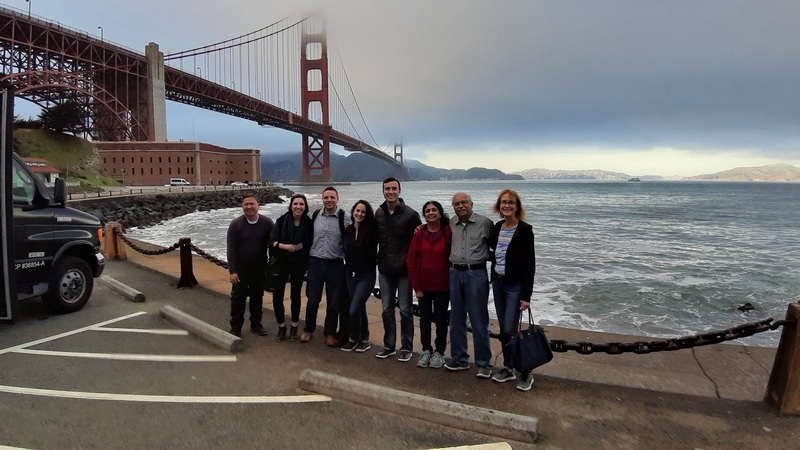 Our 11 hour tour, which had started early in the morning ended in the evening with a halt at the iconic Golden Gate Bridge in San Francisco, where all of us took many pictures of the beautiful views from there.